Google Analytics needs no introduction. It’s such a popular web analytics tool that it seems like everyone is using it. I’m guessing you’re using Google Analytics, or perhaps thinking of installing it to your website. And why not? It’s free, it’s very useful, and it’s so easy to use. But did you know that there are also Google Analytics alternatives available? There’s at least 30 such alternatives that you can use so why limit your options, right? In order to help you decide which ones to use, I’ve come up with a list of the hottest web analytics tools on the Internet right now and I’ve also provided a run-down of their pros and cons just to give you an idea of the features they have which you may or may not like. I’m sure the information provided below will cut your research time significantly. Clicky is considered to be one of the most robust web analytics tool today and it provides real time traffic information of your website. The main dashboard includes a variety of website stats that can be customized based on date. It offers a link report that shows all external websites sending traffic to you. It offers an actions metric that measures all visitor actions like video views and downloads by the user. It offers search data which provides a list of incoming search keywords that brought the users to your website and, with its Sheer SEO tool, Clicky also shows the ranking for those keywords. Its analytics feature is nearly as good as Google Analytics. It provides real-time data so you don’t have to wait the following day to find out what’s going on with your website today. Unlike other free tracking tools it is very easy to install. Infact, wordpress users can install it with a simple plugin. Clicky automatically feeds your website with keywords people are using to access it; plus, it shows your ranking as well. It offers an interesting feature called Twitter Search Tracking, with which you can monitor twitter tags, keywords and retweets. It also has an iPhone app called ClickyTouch which gives allows you to stay updated right from your mobile device. A robust API for advanced users. Split-testing and A/B Testing features are also present. Its interface is not user-friendly. First-time users may find it overwhelming. It will require you to pay a fee if you install it on multiple sites or if your site gets more than 3000 page views a day. Many key features such as goal tracking and email reports are only available in premium accounts. Price: Its pricing depends on the page views. You can find more specific pricing info by clicking here. It also offers a 21 day free trial for all accounts. 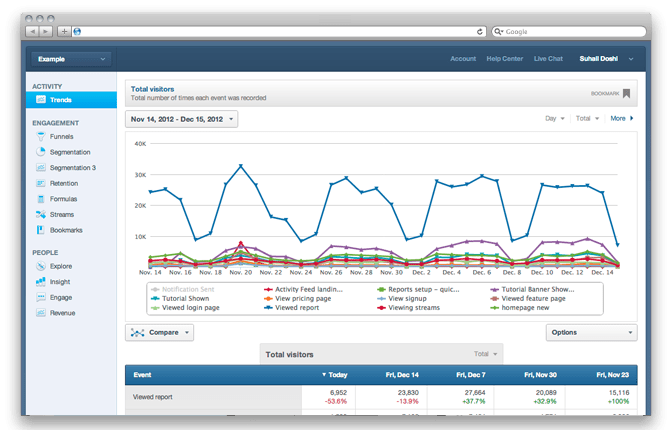 The developers of KISSmetrics claims it is a customer web analytics tool that will help you in customer acquisition as well as customer retention by giving you information on user engagement and habits before and after, they buy from your website. So it’s somewhat one step ahead of “just visitor stats”. It provides real time data. The full time report is automatically updated allowing you to see the trends as they happen. With its data funnel feature, it helps you find your site’s weakest point/step that might be costing you conversions. 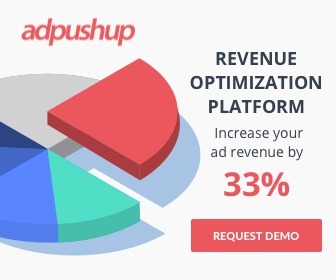 It allows you to split test different layouts and funnels, giving you enough information to tweak and optimize your landing pages for maximum profits. The API integration makes it very easy to incorporate analytical data into your website or customer application. The revenue tracking feature not only shows you what you earned, but it also shows you what your customers does after purchasing your product. It’s a great tool for SMBs with an online presence. It gives you all the data you need to improve conversion rates. It tracks visitor activities in real time. It has a really nice and highly intuitive interface. Since it is built more around Customer Insights and actionable metrics, It lacks some of the features that Google Analytics has, particularly when it comes to getting data surrounding only traffic. Price: Starts from $250 per month for up to 500,000 events. Chartbeat is a tool, which I have been personally using, till some time ago. It is focused primarily on real-time data and real time analytics. In short, this is a tool, which lives in the preset. Its robust dashboard, Iphone app and email alerts notifies you immediately of any server crash, or traffic spikes. Their clientele include Billboard, Fox News, Foursquare, and Time. With Chartbeat it is all about knowing your audience. It tells you if they are reading, sitting idle and even how far down they are into the page. As mentioned above, it gives you real time data. Along with reporting page views, it also tells you how people are engaging with your content. It has a very nice UI, and I personally love the overall design. Gives detailed insights as to how users are sharing your content. The replay feature is very useful. Real-time data about user-content interaction can help you make quick decision about your website. The data it gives is just a “tip of the iceberg.” It only gives you a snapshot of what’s going on in your site now, but when you look at historical data, it is not in-depth. If your are looking for a tool which values historical data and shows you stats for a longer duration than just now, this clearly is not the tool for you. Price: Starts at $9.95 per month. Mint is a self-hosted web analysis tool that is comparable to Google Analytics in terms of the kinds of data it collects. It tracks all basic statistics like referrals, searches, popular pages and traffic trends. Displays the total page views along with unique visitors. The referrer information is divided into the most recent, the newest one and the repeat referrers. The pages section showcases the most popular and most recently browsed content. The bird feeder feature measures feed subscriptions trends and click through for each item. The User agent 007 feature tracks some nifty user information such as their browser type and flash version. It has a nice interface. One time cost, instead of a recurring subscription. Its can be customizable which is pretty good, if you are savvy with website tools. The data it provides is not as exhaustive as that of Google Analytics. It needs to be configured in your server, which may not be a good thing for those who are not tech savvy. Since it is not a hosted solution, dependencies on your server can affect the stats’ accuracy and collection. Price: $30 for each website. GoSquared has actionable metrics that is essential for e-commerce websites. It is a great tool that measures visitor engagement. With its real time reporting system, GoSquared notifies you of traffic spikes, social trends and much more! Tells you how long the visitor stayed on you site. 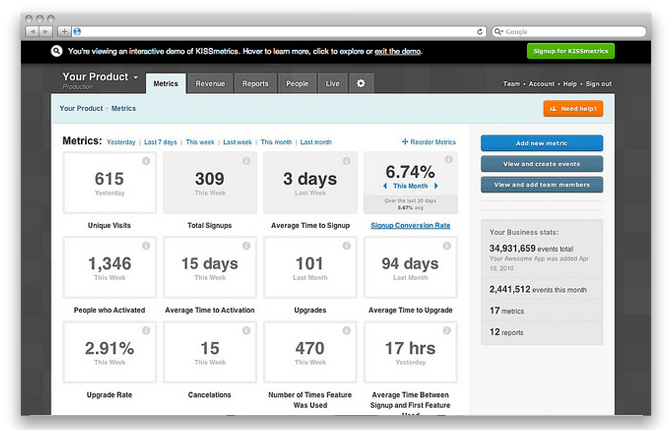 Through a tool called Pinging, GoSquared calculates this data more efficiently than Google Analytics. When a visitor visits enters your website it sends a signal to GoSquared at frequent intervals. This signal lets them know that the visitor is on your website. It has a very user-friendly interface, with widgets that you can customize based on your requirement. It lets you get insights about individual visitors. A very well built API. Integrated chat support- You can chat with your visitors while they are on your website. Once you have consumed your monthly page view limit, you will be unable to access your data until the following month. Price: Starts from $24/month for accounts with 500,000 monthly views. Woopra is also a real-time website analysis tool that targets customer engagement. It offers top-notch analytics that allows you to seamlessly monitor more than one website simultaneously. On its online app, When you click on the number of visitors on your website, it shows exactly what those visitors are individually doing on your site. It has a really good UI and a very well thought dashboard, for advanced webmasters. It lets you view activities on your site in real-time. It lets you track blog posts, comments, and searches through its WP plugin. It also features live chat, which allows you to talk to your customers when they’re on your site. Goes one step ahead and brings you customer insights from website visitors ie It tells you how the website is being used, instead of who is using the website. The dashboards have so much of data (which is a good thing) but it can be confusing for beginners. Managing multiple sites using sub-folders is slightly difficult for new users. Price: $0 to $199.95/month, depending on how large your website is. Free for up to 30,000 actions per month. Mixpanel is another real-time analytics tool that measures user engagement. As mentioned, it gives you real-time data. It gives a completely new way of getting answers from the data – segmentation. Provides special emphasis on the mobile segment. Focused on measuring user engagement to help you understand your users better. Its pricing structure is a bit complicated, as they have people and engagement plans, which takes a while to understand. Price: Starts with a Free plan for up to 25,000 Data points. This web analysis tool will allow you to specifically use metrics that your business requires. It offers four key features: Funnels which help you identify the points at which users drop an action (such as a purchase) and so that you can “fix them up” for maximum profits; Profiles which automatically builds user profiles and create customer life cycle, Segments which help segregate website traffic into categories and Triggers which are actions, on the basis of which you can assign a reaction. Not just limited to laptops and computers. It allows you to track events such as software installations and newsletter views. It’s quite inexpensive in comparison to other applications, in its segment. Helps measure conversion rates and improve them. Measure funnels and see where your users are doing, after exiting from the funnel. Measure success of an ad campaign by tracking conversions through it. Works well as an analytics tool with desktop applications too. Funnels, Segmentation and some other features, only available to enterprise accounts. Price: $20 – $120 per month. Reinvigorate is a website analysis tool that has been on the market for quite some time. It has an attractive user interface. It has a built-in heatmaps. It has a visitor-tagging feature that makes user identification and profiling easier. It has an option to give updated directly on your desktop. Get a geographical view of your users coupled with timezones so that you know what time your visitors are visiting you, from different regions. Tracks the referral traffic in real time and adjusts your web content to best suit the traffic source. It doesn’t let you deep-dive on actual traffic data. Price: $10 – $100 per month. It has an intuitive user interface. It can track real time visits and activities. Focuses on the basics of Analytics – “How Much? Where From? Where To?”. Provides clean and simple stats overview of all websites in one dashboard. The product website is not detailed enough. Price: $6 – $48 per month. It is an excellent tool to measure conversion funnels. You can easily view visitor-content interaction because of its screen capture feature. Their eye tracking heatmaps allow you to spot what part of your website the visitors are reading through their mouse movements. Click heatmaps tell you what your visitors are clicking on, and scroll heatmaps show how far the visitors have scrolled down the page. You can basically record a complete user session and see how users are browsing on your website. Create custom metrics to see what matters to you. Price: Plans start at $10 per month. GoingUp provides website analytics as well as SEO tools for your site. It allows you to track visitors, sales and conversion rates while offering search strategies. Analysis and presentation of your traffic trends. Actions and Goals to measure your sign ups, sales, etc. Helps measure and improve conversion rates. Helps track your Alexa rankings. Includes SEO related tools such as a keyword tool, keyword position tracking, keyword density and a page optimization tool. With their traffic trend analysis, you can learn where your visitors have been. This proves important in predicting where they will go. Incoming search keywords from the top search engines are tracked. It tells you the length of your visitor’s stay and the most popular pages. It monitors your inbound links. As with a lot of free tools, it may not have all the features you need to analyze website data extensively and features around inbound marketing are not robust. 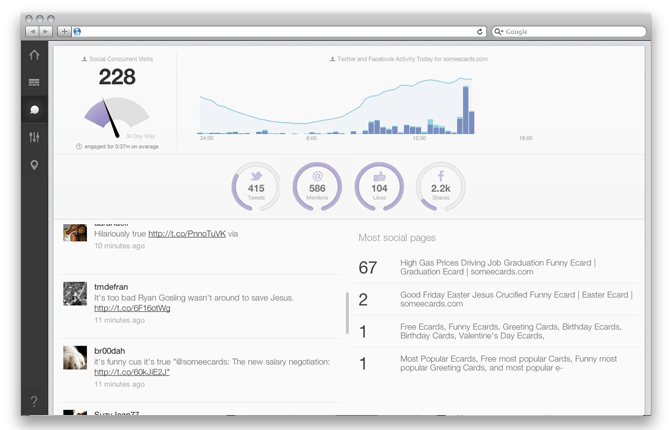 eTracker is an analytics tool that gives you real-time data and combines qualitative and quantitative analysis so you can have all the information you need to evaluate your site’s traffic. Track visitors mouse movement or motion to see how your visitors view your website. Collect feedback from your visitors which can help improve website usability. Measure your Search marketing campaigns effortlessly and track ROI. Socio-demographic analysis of your visitors. Allows you to survey targeted groups. Records and reports suspicious activities like click fraud. Offers real time statistics and campaign tracking features. Tracks mouse movements to understand visitor engagement. Automatically integrates with Google Adwords and reports campaign progress and effectiveness. Click heatmap allows to identify weak spots and analyze the popular sections of the website. Most of the features mentioned above, come in the form of different products and are not bundled together, hence it is quite expensive to use them together. Price: Ranging from $0 – $851 per product per month. 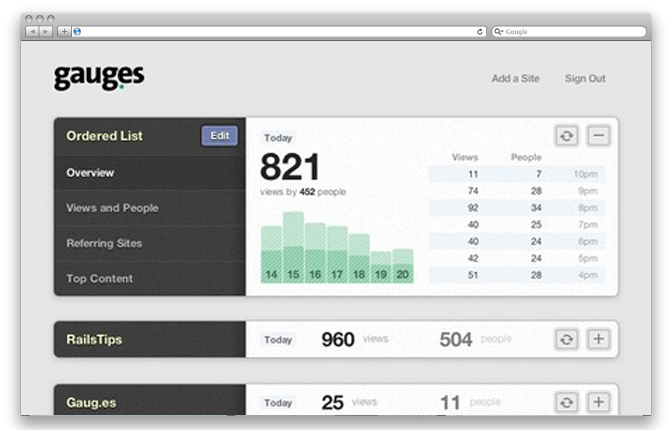 Grape is a free program (open source) that gives you an accurate statistics of website referrers and number of visitors. It is made primarily for web developers. It is a fantastic option for anyone who finds Google analytics to be overwhelming. Grape is fairly simple and offers the basic metrics, although if you are a PHP developer or adept with HTML you would be able to customize this software to meet your own needs. It gives you all the basic information you need regarding your website visitors. It’s an excellent tool for webmasters who just want a simple analytics tool. Extensions API to customize your installation. It features a clean user interface. It does not have many of the advanced features you would find in paid analytics tools. You’ll have to install and host it yourself. AT Internet is an advanced analytics tool designed to make it easy for Webmasters to analyze and measure their website’s data. Analysis of navigation, traffic, sources, behavior, goals, technology, geo-location. Proprietary technology called ClickZone (combinations of heatmaps and overlay) which helps improve user experience. Measure user interaction with Rich media. Performance and uptime monitoring included. It comes with advanced analytics reporting features including an intuitive interface that allows you to cross-analyze multiple categories and export in various formats. An option to create Custom metrics. Complete view of e-marketing campaigns and their profitability. Offers behavioral analysis to better target the audience. Pricing not available on website. 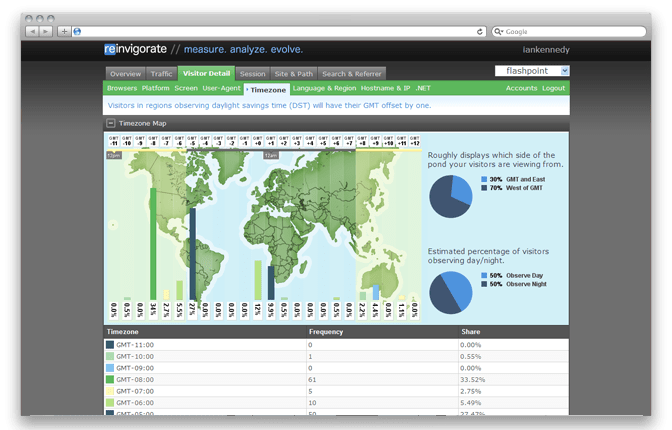 IBM’s web analytics tool enables analysts to collect all the data they need to understand their website’s traffic in a very simple way. It is considered a very advanced tool that allows companies to conduct website analysis on internal products behind their firewalls. A lot of work done on reporting: It gives you very flexible and customizable reporting options. Customizable Dashboards for different users. Analyze and improve conversions using Funnels. Uses open data architecture so integrates well with other CRM and Business Intelligence softwares. Made for the Enterprise customer, so It is a bit expensive. Lack real time traffic analysis. Price: Not available on the website. SiteCatalyst is an excellent alternative to Google Analytics, albeit, quite pricey. Dashboard can be customized in a wide range of formats. Can be viewed on all devices like mobile and desktop. Actionable Key Performance indicators like customer loyalty, purchasing info and visitor profiles are available. Allows you import external data. It has enterprise class customer support. There is a steep learning curve for all customizations. It also won’t automatically detect the source of traffic for your site, you need to define it first. Price: Enterprise Software, expect to pay at least a few thousand dollars monthly. 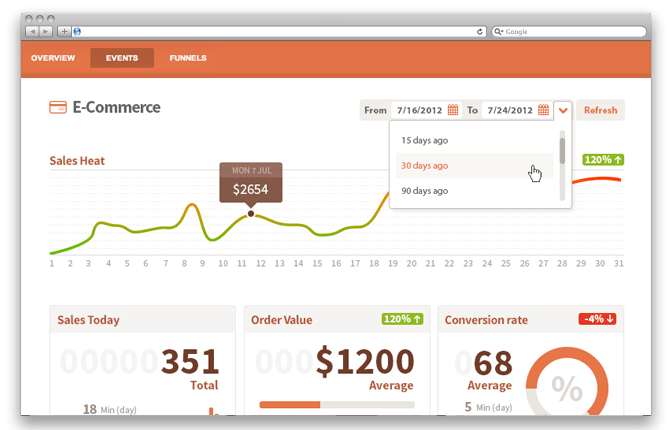 Coremetrics is a web analytics tool now owned by IBM and is often being used by e-commerce websites. Its easy to use interface provides detailed statistical data that can be customized to meet the options of any business. E-commerce is its forte because it provides comprehensive data on abandoned cart value, purchased products and other statistics. It allows you to multi-task and work on different reports at the same time. Its easy to implement so if you’re a newbie, this will be very ideal for you. It uses a variety of tags, for example, the real estate tag can track the number of clicks on a page. It allows you to deep-dive on data. It’s lacking in terms of content browsing stats. Too expensive for Small websites and businesses. Price: Starts from around $5,000. 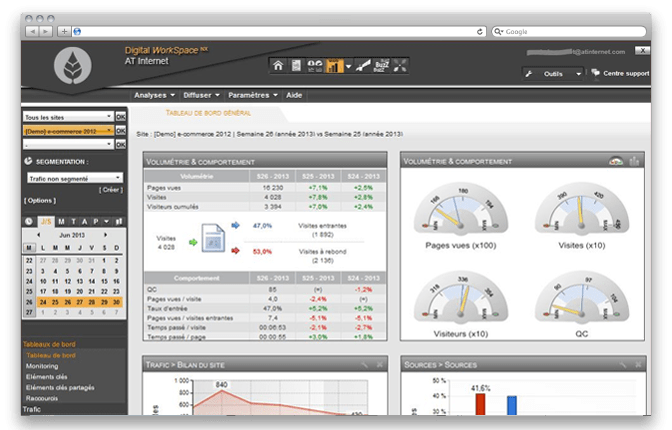 Webtrends is a hosted web analyzer that’s available in multiple editions, depending on your requirements and needs. It was started in 1993 when most people were more interested in adding content that tracking what their visitors were actually reading. Webtrends was the first company that ever offered a web analytics tool, and they have provided their services to several influential corporations like Coca Cola, Toyota, Microsoft and The New York Times. Along with basic tracking information like number of unique visits and page views, it gives a plethora of in depth advanced information such as their likes and dislikes, their geographical location. Its analytics tool covers three important tiers of the marketing world: Web marketing, social media marketing and mobile marketing. It lets you know what your visitors are doing on each of your web pages. It gives you a holistic view of where your traffic is coming from and which pages they are going to. It gives you access to real time data on visitor engagement. It’s very expensive so it is out of reach for small time businesses and internet marketers. Price: Depending upon your website and needs, it can set you back by anything between $10,000 – $100,000. 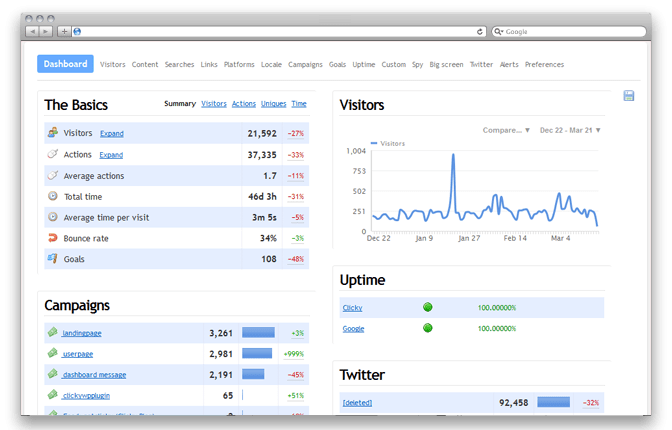 OWA is a downloadable application and is essentially the open source community’s answer to Google Analytics. It is self-hosted, and for wordpress users there is a plug-in available. This tool can be used to track more than one website. For a free tool, OWA is filled with features. It offers stat filters and heat maps. It gives you more control and ownership of your website’s data analysis. The data is not shared with any third party. As said in the description, Free and open-source. It has almost the same key features as Google Analytics. Aimed at tech savvy users, who understand how to install PHP based applications on a server. Customizing or changing the source code, can only be done by an experienced developer. 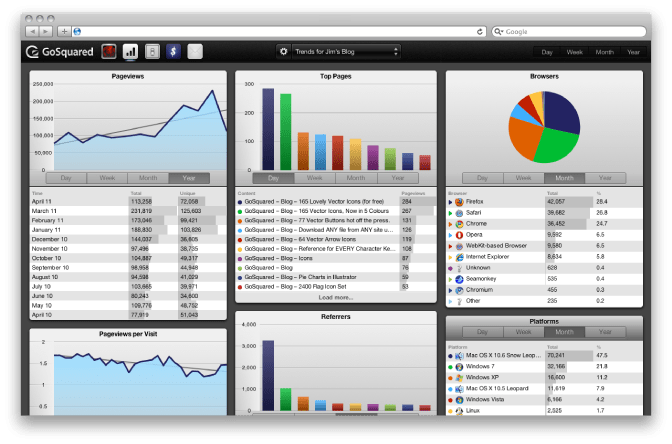 FireStats is a web statistics system that gives you a convenient way to track your visitors’ activities. It is very simple and easy to use, after installation. Raw logs of data can be downloaded. Supports a large number of languages. Provides a few handy WordPress integrated features. Displays real time data, search engine queries, referrers and popular pages. Can exclude unwanted hits from bots and spammers via filtering by IP, user agent and URL. A single install can monitor multiple websites on the same server. Script Installation required on server. Not for beginners. Poor UI, Project Last updated in 2010. Price: Free for non-commercial sites, while $25 for a commercial license. 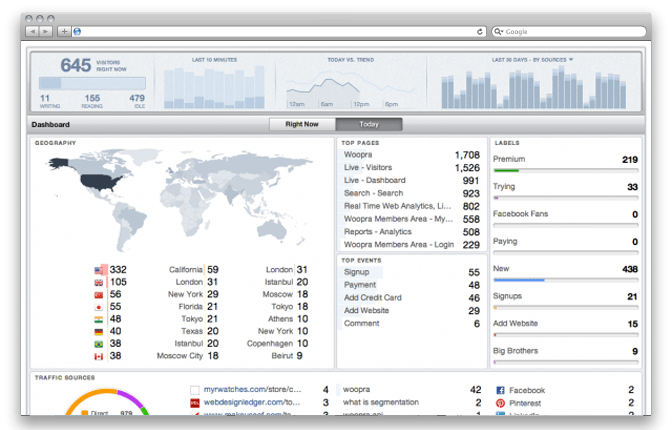 Histats is a free web statistics tool and stat counter to help you track your website visitors down to which pages they are visiting and where they are coming from. It also provides logs that webmasters can use to compare campaign stats. It lets you manage up to three hundred websites (premium package). Control Panel in the Free version, contains Ads. Site Meter is also a free web counter that can be customized based on your specific requirements. It has real-time web analysis data. It gives very detailed reports that consists of referring URL’s, search keywords,visitor location, entry page, exit page, visitor path and outclicks. It tells you who your visitors are, where they came from, and what pages they go to on your site. For its premium package, you get very comprehensive data and easy to understand reports. You may need to pay more if you have lots of pageviews. Price: Premium Accounts start at $6.95/month. 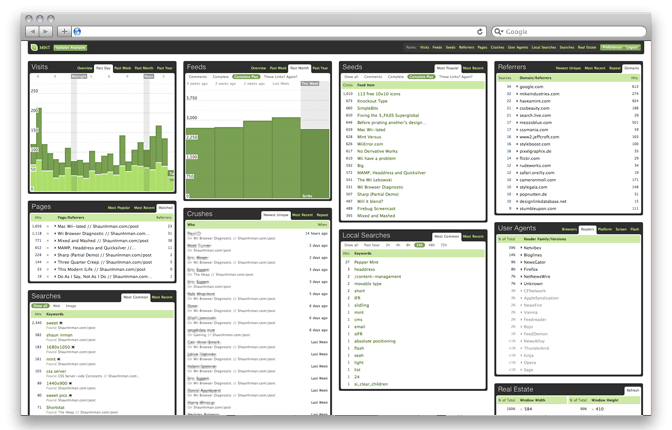 AWStats is considered to be one of the most amazing web analysis tools on the Web that will analyze log files coming from services such as HTTP, FTP servers and streaming media. Their main interface consists of a single page that is divided into different sections, each providing a summary of statistical data. These include daily visits, list of referrers, search terms etc. These stats are automatically updated on a daily basis. It gives you the option of viewing a month by month traffic report, or you could also view the annual statistics. AWStats defines a visitor on the basis of the user agent and IP address. If someone visits your website with a user agent, for example Google Chrome, and has an IP address, it will be counted as a unique visitor. On the other hand, if the user agent is a robot, such as GoogleBot, it will not be counted as a visitor. It will tell you the number of hits you have on your website, including the number of unique visitors as well as the time they spent on your website. It will show you how much bandwidth different crawlers and robots are using. It will tell you which countries, your traffic originated from. It has a feature called Server Side, which can effectively process Raw Log files. It can support various file types. It allows you to view web compression stats. It displays common HTTP errors. It does not provide an in-depth analysis of data so it is recommended that you use this alongside other tools. Although Awstats identifies most common bots and avoids the mistake of counting it as a visitor, there are some bots it is still not familiar with, thus, incorrectly counting them as visitors and causing discrepancies in the visitor count. It does not measure user activity. There is no way to know what the user does once they are on your site. A visitor that accesses the same website on different IP addresses, at the same time, will be counted as more than one visitor. It does not have a cookie system in place to determine the visitor count when two users visit the website from the same IP address; instead, it uses a time frame of 60 minutes to measure a visit. If a user visits the website for 20 minutes and visits again after 40 minutes, it will still be counted as one visit. But instead, if they visit 45 minutes later, it will be counted as two visits. It does not give an option to narrow down statistics to a more specific time frame, for example, last 7 days. The UI reminds us of the Late 90s. Price: Some hosting providers offer this as a freebie. Comes installed with cPanel. Webalizer is a very basic self-hosted server side analyzer that can give you a very detailed and easy to understand data in HTML format. Its main page consists of a graph summary and a monthly stats table with links to more detailed information about each category of information. Information about the browser used, referrers, pages accessed, keywords and visitor information based on hour, day, month and year is available. The information is presented in a way to make the process of integrating data onto a spreadsheet, easy. It updates your log files throughout the day. It lets you view your file logs online or you can download it if you need to use the data with other programs. The reports are easy to understand and for the most part, self explanatory. But for those looking for help, it does offer an explanation with screenshots. It gives you the option to receive reports of your website’s traffic on a weekly or monthly basis. It combines traffic from human visitors as well as search engine spiders, which makes the data even more confusing. While adequate as a basic analyzer tool, when compared with other analyzers, Webalizer is limited in terms of being able to track advanced information. Just like AWstats, the UI is not the best. StatCounter is a reliable and powerful web tracker that is customizable based on your data requirements. It is different from other applications that offer server side statistics in that it requires you to integrate a special code right into your website to gather info about your visitors. Just like Webtrends, you get real time data and do not have to wait till tomorrow to know your traffic stats for today. It provides two levels of analysis: One – Simple Aggregate stats about your visitors and second – highly detailed analysis of the last few visitors depending upon your log size. It gives you a list of incoming search keywords, popular pages, and inbound links. It also provides information on the users geographical location, the number of pages accessed by them and their entry and exit page. Along with that, it also gives info on search engine that brought in the traffic. You can place a “Block cookie” on your browser so that your visits to the website don’t skew up the stats. It allows you to track your visitors’ IP addresses in real-time. It does not force you to place any ads on your website. The only advertising revenue they generate from your ads are from the ones located inside your personal account, which you can choose to ignore. Its user interface is a bit outdated (it’s not as intuitive as Google Analytics). It doesn’t give you sufficient information when it comes to looking at the entire number of visitors you have. Price: This service is offered free of charge for those with less than 9000 page views a day. BBClone is a “web counter on steroids”—at least that’s what its developers say. It can give you information regarding your visitors’ OS, IP address, the browser they are using, as well as when, where and what time they visited. You just need to download the script so you can get real time data for your website. It gives you a clear view of who visited your website. It can also show you the website path followed by a visitor in the order of visited pages. It doesn’t rely on mySQL. It has some nice features such as reload resistance, proxy workaround, and hostname resolution. A lot of users have complained it is not stable enough. Also, the project has not been updated very frequently. Piwik is an open-source tool that runs on PHP and MySQL. It has a plugin mechanism so it’s customizable. It stores data on your server so you get control of the data and it is not shared with any third party. It has a customizable user interface. Ranks top keywords and provides real time traffic reports. Lets you block traffics, URLs and IP addresses. Data can be exported in many file formats, such as PHP, Excel and XML. Allows segmentation and makes it possible to request any subset for Piwik reports. Dashboard can be customized according to your needs. This is an old downloadable web traffic analysis program that helps you monitor your website traffic. It has a unique set of tools that will gather your web stats and analyze your visitors’ behavior. It gives you information about the number of unique visitors your website has. It lets you compare natural and paid traffic on your site, like banner ad, PPC, email and affiliate marketing. Tells you which ads or referral links resulted in a conversion. Not updated since a long time. Not a hosted solution, hence installation can be difficult for beginners. Price: $70 for 6 months. So there you have it—a list of Google Analytics alternatives that you can use to check your website’s stats. Obviously, Google Analytics is still the most popular website analytics tool out there, and no one’s going to argue with that. However, there’s nothing wrong with using Google Analytics alongside other tools that may serve to enhance its features and as a result, give you all the data you could possibly need to ensure that your website will reach its maximum potential. If you have the budget, I strongly suggest you go for premium tools that have all the features and metrics, which your website needs. That is not to say that free analytics tool are no good—Google Analytics is a testament of how useful some of them can be. However, if you want more customized features, you may need to look into analytics tools that meet your requirements. If you’ve used any or some of the Google Analytics alternatives mentioned above, do share your experience. I’d love to hear your opinions and comments.